I love my Flex 5000A. Having said that, it was a daunting task to get the transmit audio settings where they needed to be. I spent a lot of time with my ham friends on the air. At first I was told my audio sounded bad. After several hours of tweaking settings and researching on the web, I was able to find the “sweet spot” and now get very good audio reports. It may still not be perfect, but it’s getting there! I have interfaced a Heil PR781 mic to my Flex (Frequency response is 50 Hz to 16 kHz). 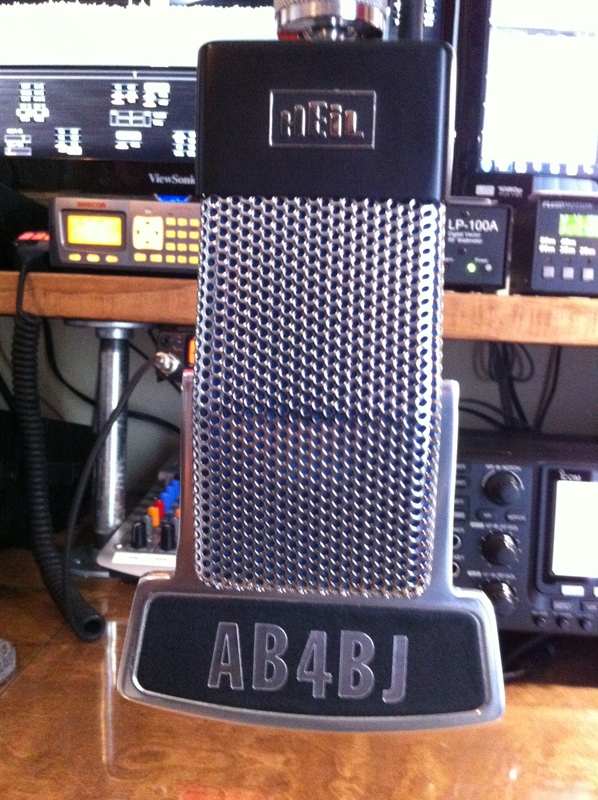 I have used this mic on other radios and have always received good reports. With the Flex 5000A, a friend suggested that I add a windscreen to the mic. I added a large foam windscreen to the mic and it seems to have helped a little with transmitted audio characteristics. Despite this small physical change, the key to making this system sound really good is an understanding of the settings within the PSDR system and how to properly adjust them. Honestly, I didn’t find a great deal of helpful advice on the web, but one online tutorial was instrumental in gettings things set up. Bob Connelly, W1AEX has posted a superb tutorial on his website. I would advise anyone new to the Flex Radio/PSDR system to read Bob’s audio settings tutorial (There’s some additional helpful info at the Flex Wiki). It will make your work much easier and will make your audio much more pleasant! 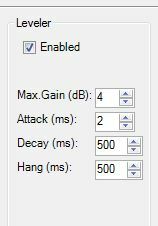 After studying Bob’s tutorial, I modified my settings while getting on-air reports from fellow hams. After many changes, we decided on the settings that everyone said sounded the best. I’m sure there may be room for additional tweaking, but I am getting solid reports with these settings in place. Here’s what we did. First, I set the transmit meter to the mic setting so I could monitor my transmissions. The goal was to keep the audio well below “0” dBm. We began these adjustments by sliding the mic mixer control down until we found the appropriate range. Mine settled in between -13 to -3 dBm (generally). This one setting made the most difference and is likely the critical part of the process. After getting the mic mixer settings complete, we moved on to the leveler control. This control is found in the “DSP” tab in the “Setup” box. After a little testing, we set this level at 4 db. We did not change the other settings in this box. So, there you have it! These settings seem to work best for me. Please keep in mind that your mileage may vary, and your settings will depend upon your voice characteristics and your microphone of choice. Don’t hesitate to get on the air with other hams and experiment until you are pleased with your audio reports. The Flex radio system is the best ham radio equipment I have ever used, and I look forward to continuing to experiment with the settings over time to make it work and sound even better. After all, isn’t that what ham radio is all about? Save, save, save! 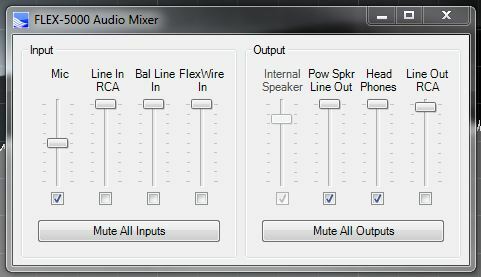 Power SDR allows you to save your customized audio and other settings with the file name of your choice. You can save any number of custom settings depending on how you want to use your radio at any given time. But, you must save your settings or you will lose them. I’ve made it a habit of naming my “final” settings with my call and the word “final, i.e., “AB4BJ_Final”. That’s the name I give to the settings I use day-to-day. You will find the save command under the “profiles” section in the “transmit” tab of the main setup box. While experimenting, you might want to create a profile named “test” to preserve your known good settings in the “final” profile. You can always rename the “test” profile as the “final” profile once you are happy with it (there’s also a check box that will allow you to auto save). The profiles drop down box lets you switch back and forth between various transmit profiles. The sky’s the limit, so be creative! 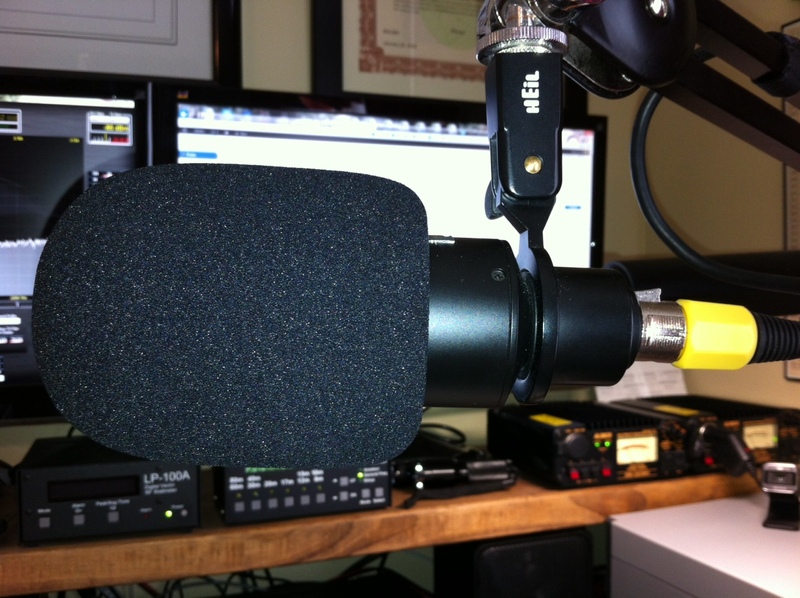 I have switched out my PR-781 for my Heil Classic microphone. The Heil Classic is no longer in production and came in several configurations when originally sold. My Classic has the HC-5 and HC-4 elements. The HC-4 (“wide”) element has a similar frequency response to the PR-781 with a range of 50 Hz to 18 kHz. The HC-5 (“narrow”) element has a frequency response of 300 Hz to 5 kHz. The two switchable elements provide quite a bit of flexibility. I prefer the HC-5 in line and have received good audio reports with this narrow setting. I left most of the audio settings the same with this element, but did change my transmit filter to 3000 on the high-end and 100 on the low-end. This did the trick and produces good sounding audio. For the HC-4 I use the same settings that were in line for the PR-781 but am still experimenting with this wide element. I’ll further update this post if I find other settings that are a better match for the HC-4. This entry was posted in Uncategorized and tagged Audio Settings, Flex Radio, Power SDR. Bookmark the permalink. I tried some of your setting was better than what I was using. My rig flex 3000, and also a flex 1500. Mic used on both rigs is Heil MH-12 runs better with Mic bost turn on. Thanks for setup the info.